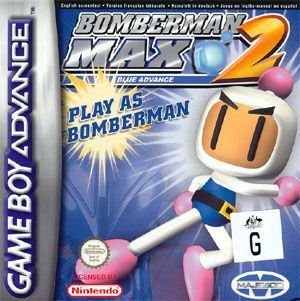 Bomberman fans can rejoice with two new games available for the GameBoy Advance called "Bomberman Max 2: Blue Advance" and "Bomberman Max 2: Red Advance" that lets gamers play as either the legendary hero Bomberman himself or his rival Max. With over 100 levels, five different areas and a variety of puzzles and challenges, gamers are guaranteed one enjoyable ride. The story revolves around Bomberman and Max (Depending on which game you have) who have been shrunk to the size of an ant by the Hige Hige, a group of bandits who are controlled by the evil Mujoe. In order for Bomberman and Max to return to their original sizes, they must traverse their way through a variety of different and colourful levels, until they finally reach the secret lab of Dr Ein that contains the hidden mini-mini devices that will resize them in order for them to save the world again. The game is extremely similar to previous games of the series where you must strategically plant bombs in order for you to progress to the next level. Fortunately for you, whenever a bomb destroys something, there are sometimes goodies waiting for you such as roller-skates to make you run faster, more bombs, stars that increase your explosions and a variety of other Bomberman goodies. This may sound easy but unfortunately for Bomberman and Max, there are monsters, animals and bad guys waiting behind every stone in order for them to sabotage your levels. 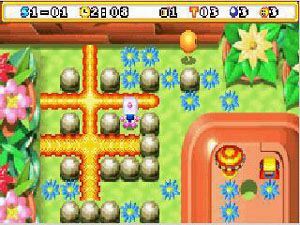 The developers have also included a variety of mini-games to help spruce the gameplay because many of the levels are a little repetitive. The only downside to the game is that you die automatically if you are touched by an enemy or if a bomb blows up too close, fortunately the game automatically saves after each level. The control system uses the GameBoy's gamepad to control your characters with the A button to drop your bombs and B to detonate time bombs. The game is perfectly suited to this hand held console and it linked perfectly between another GameBoy Advance SP console. The game also supports a brilliant multiplayer mode that allows you to connect up to four GameBoy Advances together for some great four player tournament battles. Another impressive feature is that you can also connect Bomberman Max 2 Red Advance and Blue Advance together for some great two player fun that allows you to trade or combine your charabooms together that tremendously increases the playability of the game. The graphics of Bomberman Max 2: Red Advance and Blue Advance is simply amazing and looks extremely impressive on the GameBoy Advance SP with colourful graphics, detailed characters and some great cinematics to help the storyline. The characters are also well animated and move with that classic 16-bit arcade style feel to them. 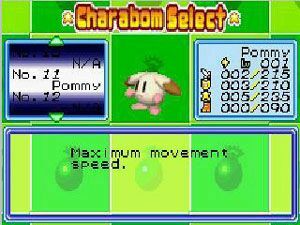 The sound effects of the game have also been professionally done and pays homage to the Bomberman games of yesterday with all the squeaks, explosions and cutesy music that has made Bomberman a true gaming legacy. 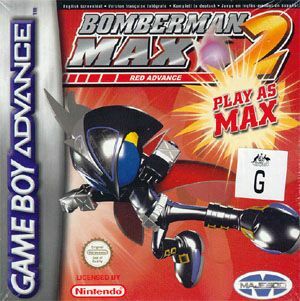 Bomberman Max 2 Red Advance and Blue Advance are two brilliant games for the GameBoy Advance & SP that I would highly recommend to all owners. It's classic arcade fun that is based in the Bomberman universe of puzzles, bombs and baddies. The only difference besides the two games is that gamers can either play as Max or Bomberman but both games have two unique endings. 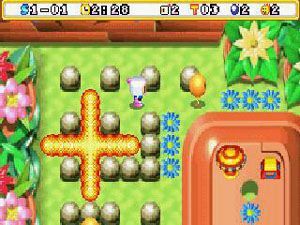 Bomberman Max 2 contains some excellent graphics, an addictive musical score and some of the best damn fun you can possible have on the GameBoy Advance. Highly Recommended!